The city is poised to make a $110,000 purchase for a glass art piece by Costas Varotsos according to the December 18 agenda. I have not seen it. However, I presume it is this piece which Kevin featured earlier this year: Perhaps there is a picture in the City's full agenda packet but I could not download it. I would not be surprised however, if the proposed design looks different than this now. Yet, his work does look similar to this. What do you think? Did we get the best one? Please post any alternative art you think might be better. Update : The Tacoma City Council voted to enter into the agreement on the art on 12/18/2007. Tacomans are now proud pro-rata owners of a new 104 foot art piece. by KevinFreitas on 12/18/2007 @ 6:41am That's some stunning work! I can't wait to see what comes out of it. Hopefully whatever they purchase will still be on the scale of what's in that rendering above. I too cannot open their full packet PDF. I've had this trouble everytime. Can anyone else open it? Maybe if enough people pipe up they'll get the problem fixed. by NineInchNachos on 12/18/2007 @ 8:43am for $110,000 I hope it turns out better than the MOG's star destroyer conning tower we like to call "pigeon poop heights"
by Erik on 12/18/2007 @ 11:28am for $110,000 I hope it turns out better than the MOG's star destroyer conning tower we like to call "pigeon poop heights"
How much would you charge for a large version of the vaccum cleaner trophy that was this big? I have always been able to open their packets but the larger two this weeks and last I could not. Its certainly not the file size. I think they simply have the format wrong if no one can open it. They could separate it into two sections if they needed to. Does anyone know of a company that could help the City of Tacoma with their web site? by Erik on 12/18/2007 @ 4:41pm Exit 133 confirms that it the above art piece is the one being considered by the council. Apparently, they we able to download the full packet. Apparently, the $110,000 is only around 10 percent of the million dollar value. 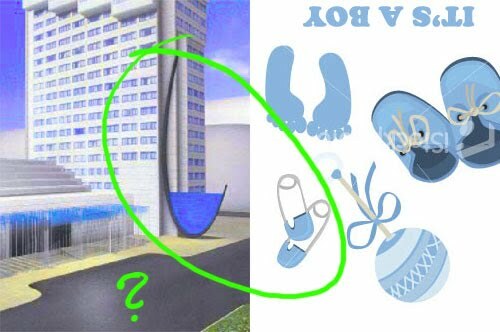 The sculpture will be named â€œOPIZONâ€ which means Horizon. 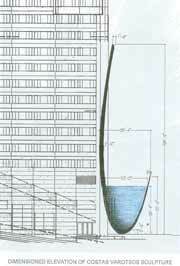 It will be made of steel and stacked plates of glass that resemble â€œa cup of brimming waterâ€ and will be nestled in the corner of the currently-being-remodeled Hotel Murano. I like it. Its art. No other explanation necessary. Tacoma has been looking for the correct "brand" for the city. Glass is probably a good one. Visitors seem to like it alot. Here is a bold statement on glass. Also, I think its going to look better than this as they use sheets of glass like the artist uses above which gives it some great texture.